Groovy retro design is still “far-out” and “cool” for kids today. Each water-resistant 600-denier polyester piece holds up to everyday jostling from bus and cafeteria to gym and after-school fun. Nylon zippers. Wipe clean. 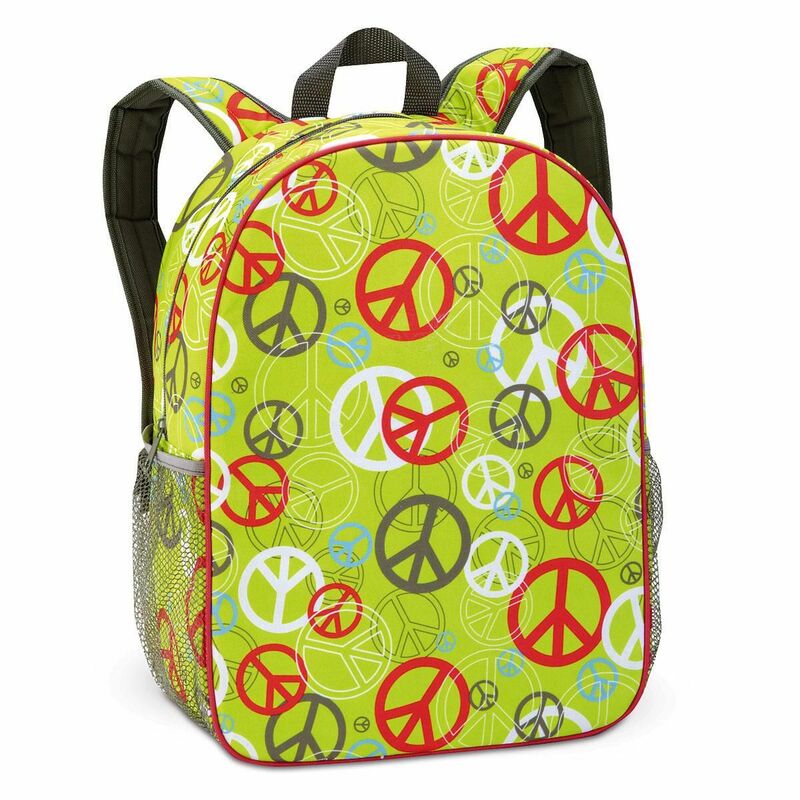 Backpack has padded, adjustable shoulder straps, large main zip section, side pouch. 11" x 6" x 15" H.